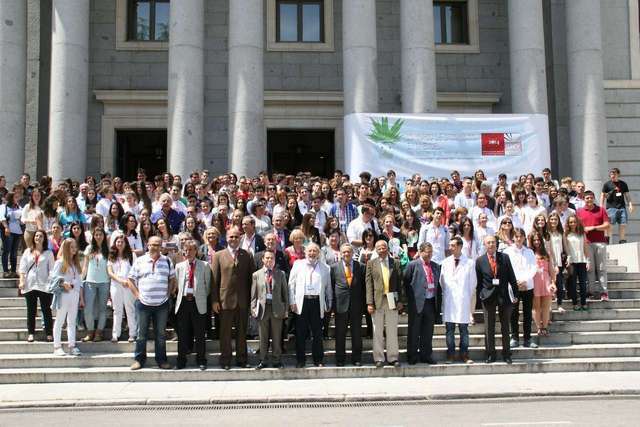 The Spanish Schools Crystallization Competition, aimed at students and teachers in secondary and high schools, aims primarily to use the natural attraction of the phenomenon of crystallization to teach high school students how to make and enjoy science, and about working in the field of science. 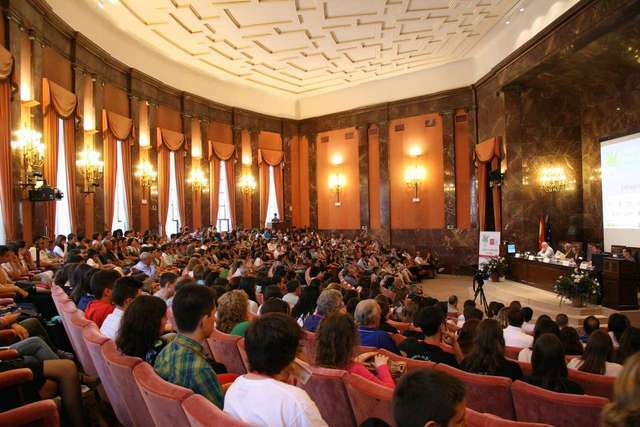 The competition format involves all the ingredients of the scientific method: from research laboratory to the presentation of results in a forum-type 'scientific conference'. 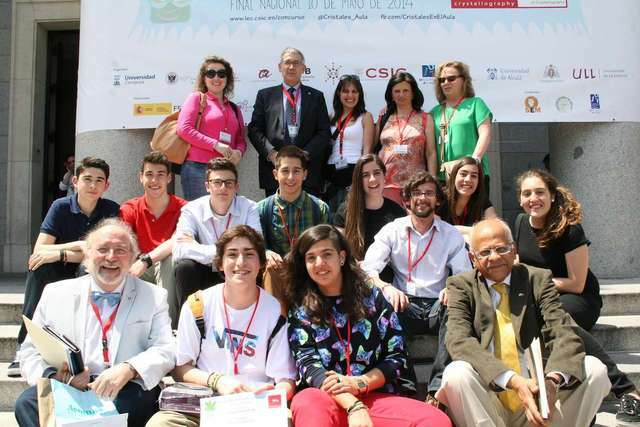 The 2014 Final Competition was held in the headquarters of Consejo Superior de Investigaciones Cientificas (CSIC) on May 10, in the presence of Gautam Desiraju, President of the IUCr. Gautam Desiraju speaking with young participants. Second Prize winners. The Second Prize was awarded to 'A Floral Crystallization' (I.E.S. La Bahía, San Fernando, Cádiz). Students: Celia Garrido Ibáñez, Alejandra Rodríguez Bey and Alba Expósito Bey. Tutor: José Joaquín Ortega Viruel. First Prize winners. 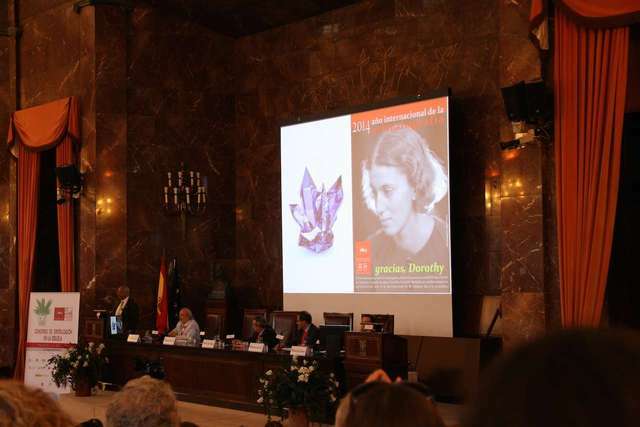 The First Prize was awarded to 'The Crystallizing Adventure' (Colegio Santo Domingo de Guzmán, Oviedo). Students: Rodrigo Fernández, Marina García and David González. Tutor: Mar Fernández Ordoñez.